Croatian government officials challenged the predominantly Catholic nation’s ban on marriage equality by passing a law recognizing same-gender couples, directly opposing Church leaders who have vigorously opposed any LGBT rights. “Gay rights activists hailed the legislation in the largely conservative EU member state, which is strongly influenced by the powerful Roman Catholic Church. ” ‘Croatia made a historic step forward to stand along progressive countries which have already resolved the issue,’ Iva Tomecic, editor-in-chief of lesbian, gay, bisexual and transgender (LGBT) news portal CroL, told AFP. Croatian voters amended the constitution last year to limit marriage to one man and one, although many questioned whether that is how people feel given turnout was only 35% and that a high level of anti-European Union sentiments may have contributed. 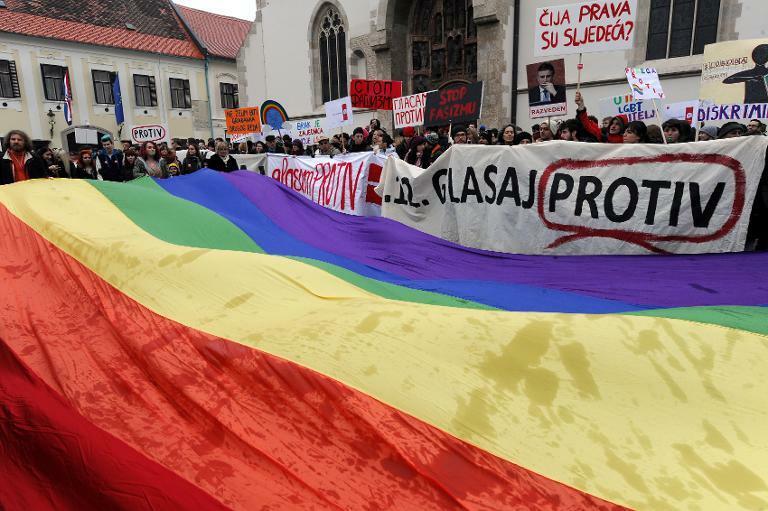 With civil unions approved for same-gender couples and few options to oppose them left, let us hope Croatia’s bishops will end their crusade against LGBT rights once and for all.